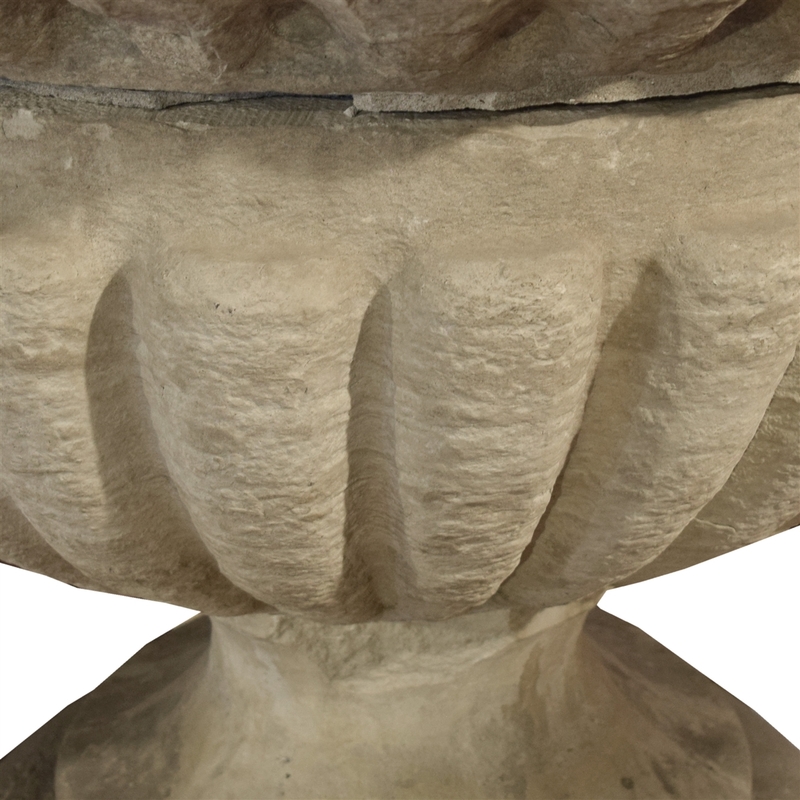 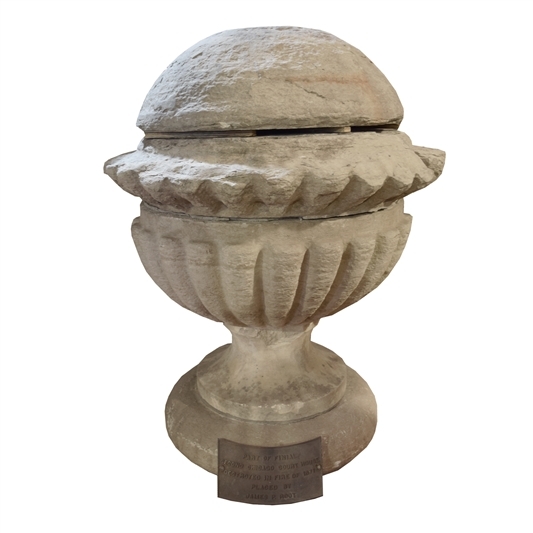 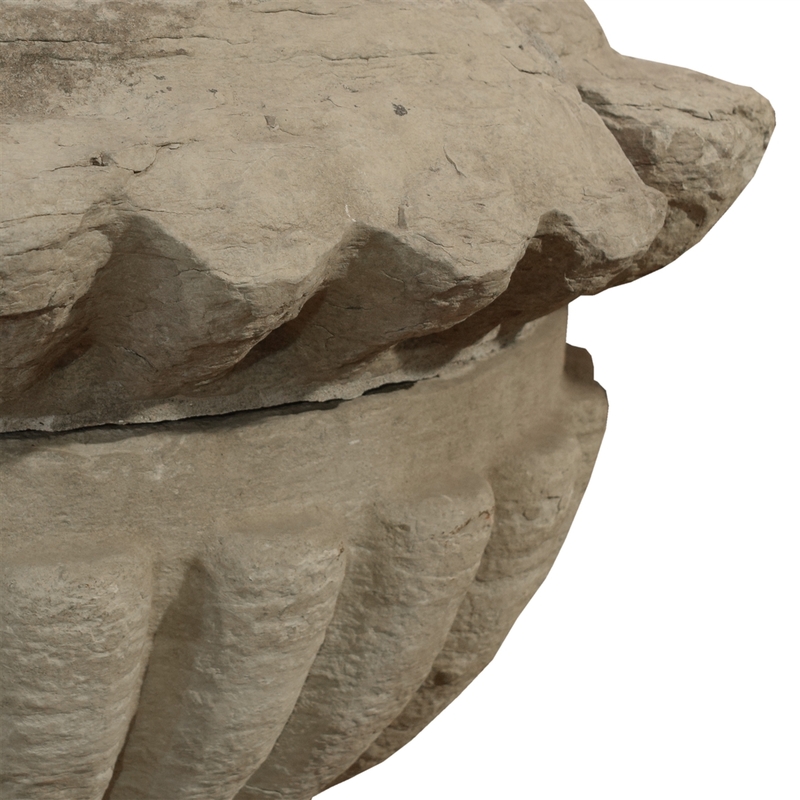 An original carved limestone roof finial from Chicago's second courthouse built in 1835. 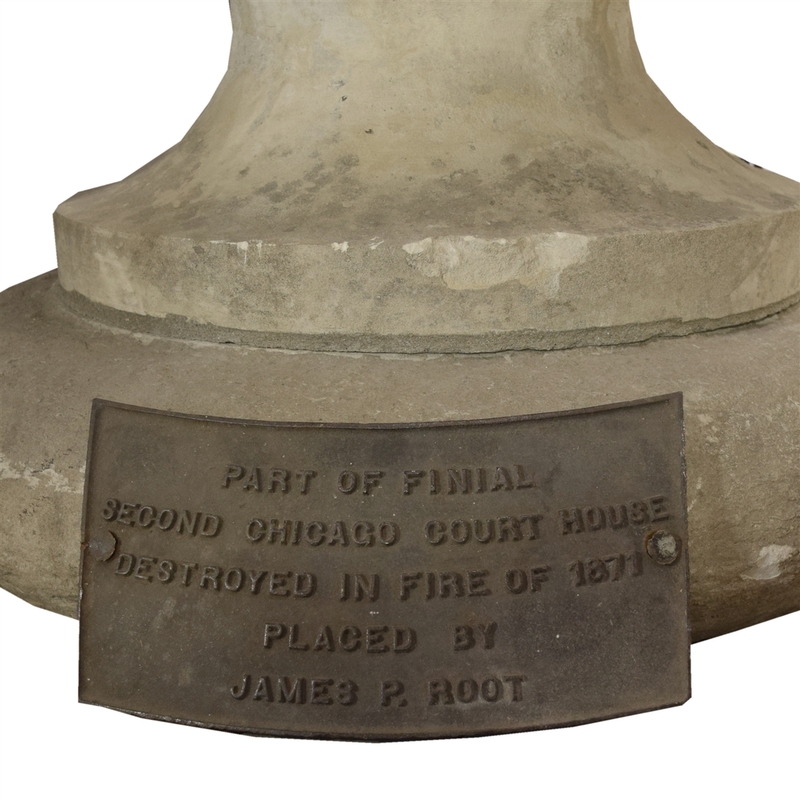 The courthouse was destroyed by the Chicago fire of 1871 and only a few finials were salvaged. Another finial is on display outside the Lincoln Park Zoo administration office.